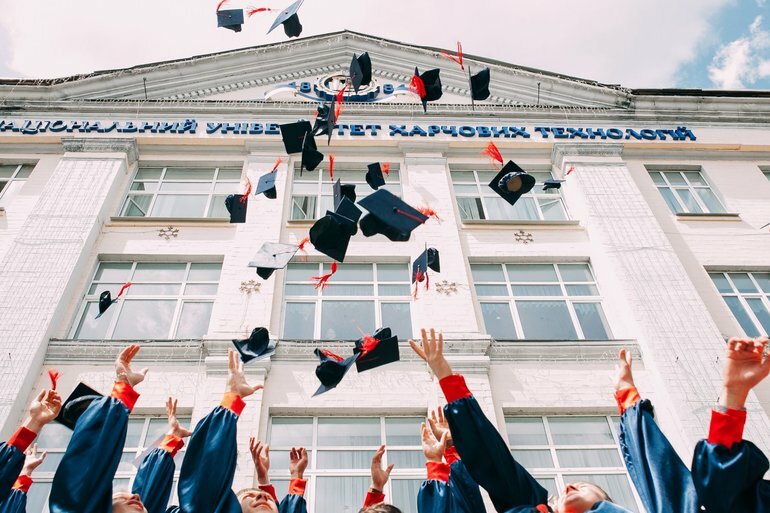 Selecting the right car for your recent graduate can feel overwhelming, but your local Lakeland area Ford dealership, Bartow Ford, is here to help. With a few important factors in mind, you can figure out which vehicle is a good fit and get a great deal. There are infinite possibilities when it comes to presents for your recent graduate, but a car makes perfect sense. Whether your child is graduating from high school or college, having their own vehicle will enhance their independence. It provides an easy way for recent college grads to get to interviews (or their new job! ), while a high school grad will be able to get to and from their classes, internship, or job. They can easily run errands and engage in daily activities. A reliable, dependable car can also prevent unnecessary expenses. If you gift your graduate a vehicle, or at least pay for part of it, they will not feel tempted to buy a cheap car that breaks down easily and leads to high repair costs. You can even help them choose features that you feel are important, such as fuel efficiency or safety technology. Best of all, your grad will never have an excuse not to visit you! It’s important to take choosing your grad’s car as seriously as if you were choosing it for yourself. Consider what features they need and want, the car’s reliability, utility and safety, and how the size of the car will work in their chosen city. You should also make ownership cost a priority, since recent grads tend to have tight budgets. Thanks to the Ford Drives U program, Ford makes it easy to for you to stick to your budget when buying your recent graduate a car. Current students or college alumni who graduated within the last three years can get $500 bonus cash towards their purchase. The process is simple. You can confirm eligibility online or in person. Once that is verified, you will receive a certificate, and then it’s time to pick out your car! 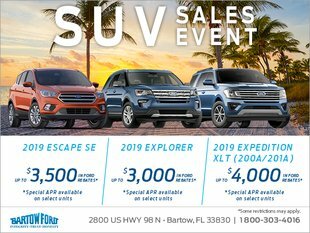 Visit or contact your Lakeland area Ford dealership, Bartow Ford, to discover what we have to offer you and your recent graduate. Check out our selection in person or give us a call at 800-303-4016 to learn more about what cars we have available.